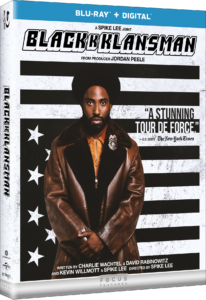 Here’s your chance to win a Blu-ray for BlacKkKlansman! One of the most talked about films this year is the unbelievable, but true story of Ron Stallworth, the first African-American police officer in the Colorado Springs Police Department who managed to infiltrate and expose the Ku Klux Klan. You have until Wednesday, 7th November at 8pm PT to enter when we’ll randomly select our winner. * This contest is only available to ship in the United States.